Aceh Council (DPRD) wants to know athletes training and education quality in Jakarta by holding comparative study to Jakarta DPRD.
" 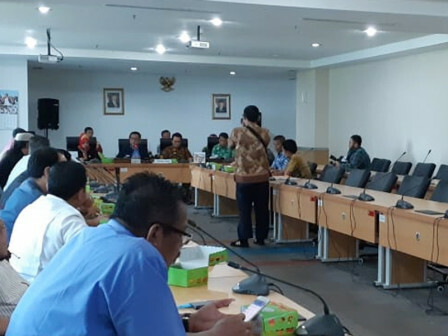 Aceh and Jakarta have different culture so it is quite difficult to improve Aceh residents' interest in reading"
Aceh DPRD Commission V Vice Chairman, Maryati considered education quality in Jakarta is improved because there are libraries almost in all open spaces. "If we compare between Aceh and Jakarta, Jakarta has library in each parks and resident's interest in reading is very high. While Aceh and Jakarta have different culture so it is quite difficult to improve Aceh residents' interest in reading," she explained, Thursday (1/31). Besides education quality, her side conducted comparative study to Jakarta DPRD because her side wants to learn about athletes training. "We got gold medal in 2016. So, we want to improve training given to athletes," she asserted. Jakarta DPRD Vice Chairman, Mohammad Taufik confirmed that each Children-Friendly Integrated Public Spaces (RPTRA)s in Jakarta provide library. "We want to improve children's interest in reading since early age. They can play on RPTRA's playground and read in the library," he explained. He assessed, Jakarta Government has given its best to train the athletes, such as giving bonus to outstanding athletes.